Your garage door not only protects your car and home, but it also contributes to the décor of your home. If you need a new one installed in Rumford, RI, then Rumford Local Locksmith ’s expert locksmiths are your best bet. We offer a professional garage door installation service for residential and commercial property owners in the local region. 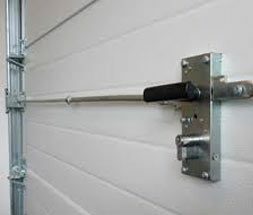 We have installed garage doors for numerous homes as well as businesses over the years, even on an emergency basis. You can rely on us to do the job quickly, and we won’t make you pay through your nose for a new door either.